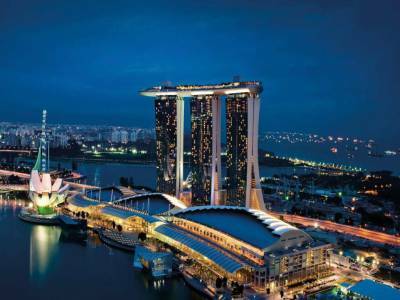 The Marina Bay is the heart of the Singapore with bustling roads overlooking the peaceful waterfront which is replete with tourists at all hours. With reclamation of land beginning only in the 1970s, the transfiguration of the place is phenomenal. The classic and contemporary architectural works that silhouette the skyline is as remarkable as it can get. If one is already awestruck seeing the giant skyscrapers and never ending infinity pools, there are a host of attractions that are yet to be embarked upon. One of the most spectacular sights in Marina Bay is the Gardens by the Bay which is a 101 hectare futuristic nature park with artificial structures (known as Super tree Groves) towering the sky. These lofty trees are illuminated at night and the colourful show starts at 8.00. The Art Science Museum and Esplanade, a popular theatre, offer elaborate cultural shows of Singapore. Apart from these, there is the Merlion Park situated off the bay. The Merlion is an extraordinary mystical creature that is partly mermaid-partly lion throwing water into the Singapore River. 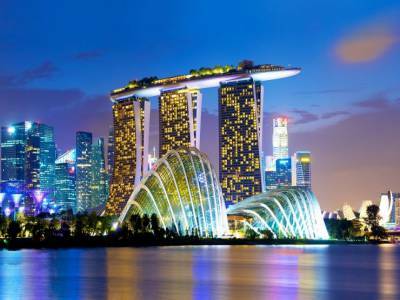 The other attractions are Singapore’s first 18-hole Golf course, the Grand Prix where every September the adrenaline-charged F1 races take place and the Singapore Flyer, one of the few observation wheels in the world. 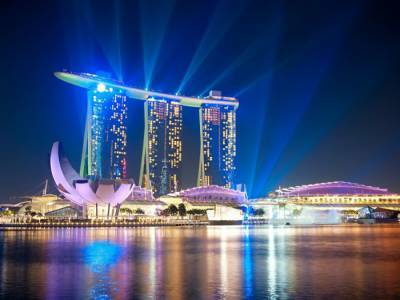 Each evening, the Marina Bay lights up with a blindsiding and breathtaking laser show from the Marina Bay Resorts. The best thing about these jaw-dropping visuals is that it can be enjoyed absolutely free. 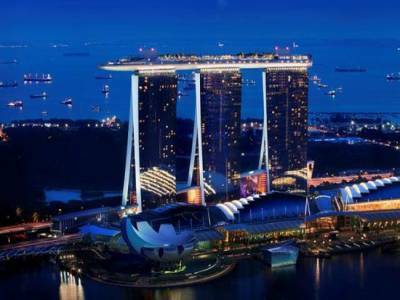 The dazzling resort is also one of the best options to stay at while in Singapore with exhilarating banquet halls, the world’s largest infinity pool, celebrity chef restaurants, extravagant nightlife and much more. And all this is just an ordinary day at Marina Bay! 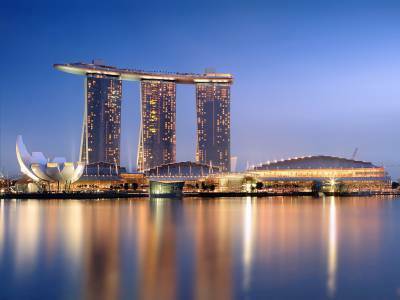 Get quick answers from travelers who visit to Marina Bay.